Japanese And Russian Scientists May Be Able To Clone Mammoth | Fox News: ""
It appears that scientists from Russia and Japan think that they can clone a mammoth using DNA recovered from a thigh bone found last August in the Siberian permafrost. Didn't any of these people see Jurassic Park? Just because we can, doesn't mean we should. Scientists believe that can combine the DNA with egg cells from elephants, then gestate it in an elephant as they are close genetic cousins. An article in the Health section of the NY Times reports on another disease that humankind has made extinct. Rinderpest, an animal plague, has been a scourge of livestock for thousands of years. It is a virulant relative of the measles and had a mortality rate amongst infected herds of 95 percent. Dr. Juan Lubroth, chief veterinary officer at the Food and Agriculture Organization of the United Nations says that the role of veterinarians in protecting human society is severely underrated. 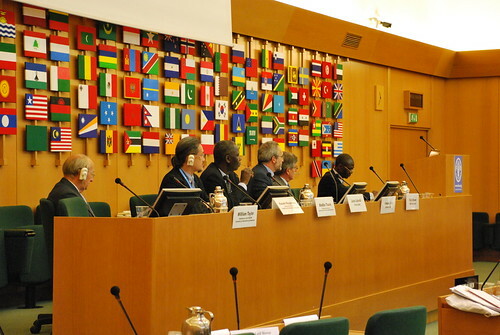 The pronouncement was made on June 26 in Rome, Italy, where the FAO is headquartered. Google's Matt Cutts presents the idea of improving your life by making your own 30-day challenges. He proposes that adding and/or subtracting something in your life for at least 30 days can lead to a number of improvements. At the end of 30 days, make more changes. Citing his own experience, he experienced a better quality of life and even got into better shape. Of course, that is dependent on what your 30-day challenge is. The video is of a presentation given at the 2011 Google I/O event. In Indonesia, a macaque monkey helped himself to a nature photographer's camera, then started snapping photos of himself. Award winning photojournalist, David Slater, was in a small national park on the island of Sulawesi when the event occurred. "I teamed up with a local guide because I knew about the apes and wanted to photograph them. ", David added. He and his guide were with the monkeys for about three days. They were accepting of his company and expressed interest in the things he was carrying. It is assumed that the culprit became enamored with his own reflection in the camera lens. Slater later added that most of the hundreds of photographs were not in focus, but a very few were usable. The crested black macaque is an endangered species. It not only suffers from human encroachment and deforestation, but is hunted as bush meat since monkey is considered a delicacy and holiday staple amongst the local non-muslim population. (Via Monkey steals camera to snap himself - Telegraph: .